I’ve been listening to Marie Hines for years now, and what’s more, I’m proud to say that I have contributed in a small way to her success by writing bios for her past three releases. I’ve been so impressed with the young Nashville singer/songwriter’s bright, blushing melodies from the beginning, but her newest effort, a collection of love songs called The Tide and the Sea, is as bold and mercurial as I have ever seen her, and I cannot praise it enough. The Tide and the Sea begins briskly, a crisp breeze fluttering through spring grass, playful and steady. “My Love Will Never Fail You,” the expansive, glittering single, makes confident declarations on the origins of love with lyrics like, “I don’t believe in chance. I think it’s the choice we make, and I choose you for the rest of my days,” its melody expanding into broad, undulating layers of a soaring orchestral spectrum. “In My Arms,” co-written with fellow Nashville songwriter Justin Halpin, is a richly textured, sanguine tune with a spirited rhythm. The golden, ebullient “Always Been You,” another Justin Halpin co-write, boasts the title lyric – “You be the tide; I’ll be the sea. The rise or fall brings you home to me, brings you home to me. It’s always been you, love.” – and acts as the magnetic, whimsical cornerstone of Marie’s silvery tunes. Listen to the new single on Spotify, and look for the love song EP, The Tide and the Sea, on 02/12/13. I highly recommend her past work as well, Worth the Fight and HeartCrash in particular, and for more info about Marie, see http://www.mariehines.com. It’s a rare talent to be able to write music that a listener hears more in his body than in his ears, but when an album like that comes along, I like to drink it in until it fills me up and sloshes around inside me a little. 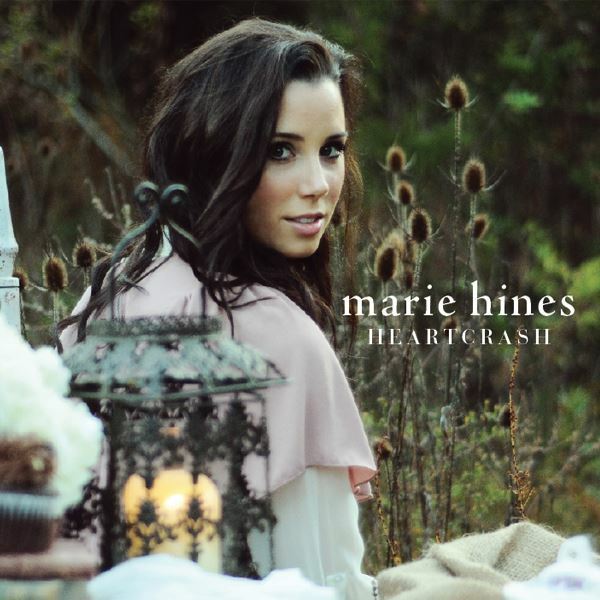 And so it is with Marie Hines newest EP, HeartCrash. The young Nashville singer/songwriter has seen early critical success with her debut album, Worth the Fight, and the live follow-up, The Living Room Sessions, but despite its brevity, HeartCrash seems to carry more weight, to linger on one’s mind and in one’s heart, each song ebbing in and out like the tide. “Hammer” trickles in lightly, beginning the album with a quiet forlornness. By the time Marie’s telltale string quartet sweeps in and takes up the instrumental bridge, the story is clear and wrenching, lyrics like “You never think your lover’s words could kill you, and you can’t foresee the blow that is your last” painting a striking, desolate picture. The title track struts in a way that Hines has not explored in previous efforts. Written not out of love or loss of love, but out of anger, “HeartCrash” boasts an unpredictable melody reminiscent of Regina Spektor’s newer work and a feminine brazenness that recalls Sara Bareilles’ singles. “Mending” is without doubt the biggest step forward on HeartCrash. 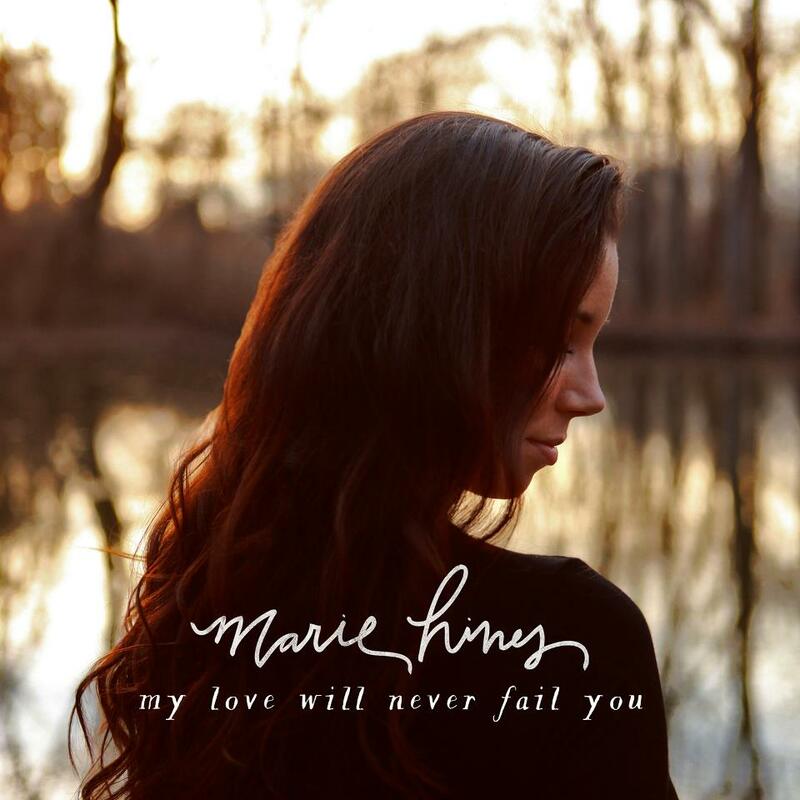 The tune begins delicately, showcasing Marie’s velvety piano and penchant for lithe, ardent lyrics, but the beat pounds like a quickened heart and the dynamics exude a sense of urgency and fervor. An instrumental section plaits a 3/4 rhythm and a 4/4 rhythm seamlessly, building them up to a burst of rapturous, symphonic color and sound. I’ve been a big advocate of Marie Hines since I heard Worth the Fight a little over a year ago, but HeartCrash is converging on bolder, more seasoned territory. Give it a listen and let the current do the rest. And now that you’re convinced, buy the EP here on Amazon. As always, you’re welcome. Katie Costello is only 20 years old, which kind of makes me sick. She’s 20 years old and just put out her sophomore album, Lamplight, which is a beautifully crafted collection of Ingrid Michaelson, Sara Bareilles-esque ballads and pop tunes. Costello’s magnetic vocals and poignant turns of phrases speak to her maturity as a singer/songwriter, her light-hearted approach to thematic elements that occupy every young girl’s head and heart exemplify the sprightly youthfulness of her songs. With Lamplight, which was released a mere two days ago, Katie is already seeing some serious traction in the industry – big names like Billboard, Paste, Spinner, and BeatWeek devoted headlines to her blithe melodies and up-and-comer status. Update (3.23.11): links to articles added. Okay, so I am definitely not a fan of Taylor Swift. I can respect her ability to write and sing songs that teenage girls freak over. I can appreciate her showmanship and strength to tour consistently. I can even admire her devotion to remaining a “nice, normal girl,” despite earning millions every year. But I can’t pop her album into my stereo, roll down the window, and sing along. I just can’t. However, with all that said, the song “Haunted” from her most recent album, Speak Now, is incredible – epic and darkly powerful, with robust instrumentation and a very ominous strings section. 15. Red Hot Chili Peppers; Title: TBA; Release: Summer – The Chilis took a 2-year break after touring for 2006’s ambitious double album, “Stadium Arcadium,” and by the time they reconvened in 2009, Josh Klinghoffer had replaced guitarist John Frusciante. Recently, drummer Chad Smith leaked that the band has been experimenting with some Afropop influences for their 10th studio LP, and I don’t know about you, but that’s enough to get me excited for this summer new release. 14. 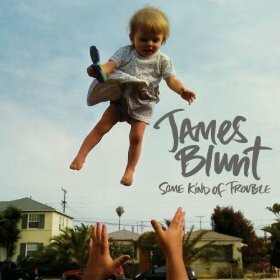 James Blunt; Some Kind of Trouble; Jan 18 – James Blunt’s debut album Back to Bedlam brought him quite a bit of fame back in 2005, and finally after 6 years of nothing, Blunt is putting out new material. The single “Stay the Night” sounds pretty canned (actually like a rip-off of Mraz’s “I’m Yours”), but I rocked that debut album my senior year of high school, and I’m interested to see what’s next. What originally started out as an EP bringing these two titans of hip-hop together has grown to an anticipated full album project. The set’s first single, “H.A.M.” is set to be released next week, but the entire album won’t be out until March at the earliest. 12. 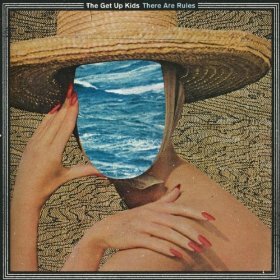 The Get Up Kids; There are Rules; Jan 25 – 1999’s Something to Write Home About was one of the last great punk rock records of the 20th century, and it made The Get Up Kids the most popular band in America that most people had never heard of. After an official band break up and a farewell show in July 2005, they’re back together and releasing their fifth full-length album and first since the reunion. 11. Iron & Wine; Kiss Each Other Clean; Jan 25 – Sam Beam and company are officially on the Warner Bros’ roster for their fourth studio album, but there shouldn’t be any major changes to the group’s cozy, low-key sound. 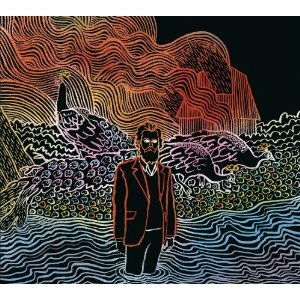 Single “Tree by the River” picks up right where 2007’s The Shepherd’s Dog left off, continuing to subtly expand the Iron & Wine sound without abandoning their folk roots. 10. Britney Spears; TBA; March – Billboard is projecting that Britney Spears’ new single, “Hold It Against Me,” will likely become the 18th song to debut at No. 1 since their Hot 100 chart began keeping track in 1958. Update (1.16.11): The track was released last Monday, and has been getting a lot of reactions (both good and bad) due to the major dubstep influence. 9. Death Cab for Cutie; Codes and Keys; Spring – 2008’s “Narrow Stairs” was a disappointing deviation from their previous work in my opinion, but long years of enjoying Death Cab’s work leave me open to another new album. For the group’s seventh LP, Ben Gibbard and company have experimented a lot with the recording process; Codes and Keys is said to feature plenty of new instrumentation (read: string sections). 8. My Morning Jacket; TBA; Spring – After 2008’s “Evil Urges,” MMJ frontman Jim James says the band is aiming for “loose and dirty” with their yet-to-be-titled sixth album. “We’re doing it all live, standing around in a circle,” James told Rolling Stone. Yessssss. 7. 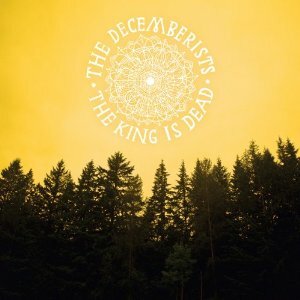 The Decemberists; The King is Dead; Jan 18 – After 2009’s sprawling rock opera The Hazards of Love, the Pacific Northwest folk rockers decided to keep things simple for their sixth album, opting for spare, rootsy arrangements (lots of harmonica, accordion, and acoustic guitar) and an absence of overarching concepts. So far, I’ve heard very good things. 6. Rush; Clockwork Angels; Spring – The Canadian prog-rockers began work on their 19th(!) studio album in early 2010 and expect to release it this spring. 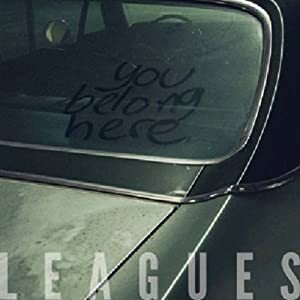 A sprawling lead single, “Caravan,” was released last summer. I’m crossing my fingers that they play a few new tunes at their Nashville arena show in April (for which I have killer tickets). Update (1.18.11): The album is entitled Paper Airplane and will be in stores April 12th! 3. Lady Gaga; Born This Way; May 23 – Written while she was touring the world after her 2008 debut The Fame, Born This Way is about Gaga’s “little monsters,” her fans. 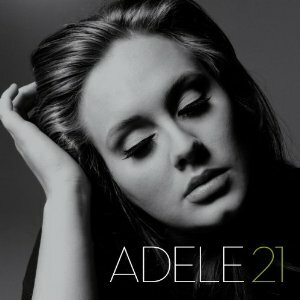 She has said it could have as many as 20 songs and that she’s going for huge, anthemic melodies. 2. Fiona Apple; TBA; Spring – Singer-songwriter Apple has only released three albums since 1996, and nothing since 2005’s Extraordinary Machine. Apple released “So Sleepy” for a benefit album last year, but that’s about all the info on the new project there is. 1. Ingrid Michaelson; TBA; Summer – Over the past few years, I’ve really loved watching Ingrid Michaelson grow and expand her sound, her fan base, and her songwriting. If her new single “Parachute” is any indication, Michaelson has got a whole new and different thing up her sleeve. Update (1.16.11): The official music video for the song came out a few days ago! See here. Other Notables include releases from Cold War Kids, Jan 25; Bright Eyes, Feb 15; Bush, Feb; R.E.M., March 8; Sara Evans, March 8; Yellowcard, March 22; Brad Paisley, Apr 19; Foo Fighters, Spring; Drake, Spring; Fleet Foxes, Spring; Beyonce, TBA; Coldplay, TBA; The Strokes, TBA; The Cars, TBA; U2 TBA; Jane’s Addiction, Fall; and Blink-182, Fall.